Spring has arrived! Join ILITE members and friends for our first happy hour of the year at 2Twenty2 Tavern. 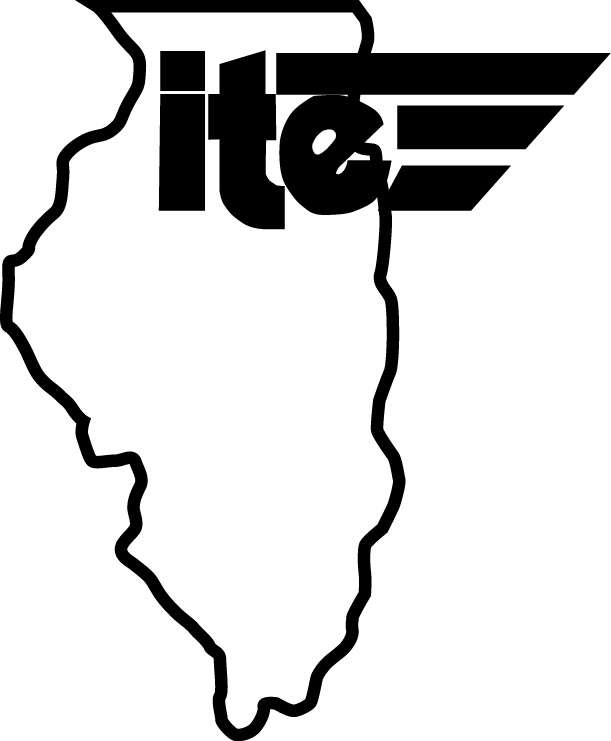 ILITE socials are always a great way to meet members and network with fellow transportation professionals. This event cost is only $10 and includes one drink ticket and plenty of appetizers. 2Twenty2 Tavern is located a block from the Adams/Wabash and Jackson L stations. We hope to see you there! Registration in advance is encouraged, but not required. Please stop by if you're in the area! The Illinois Section of ITE is holding a webinar event for the benefit of ITE members and guests. The event will be shown at the DuPage County Division of Transportation and 1.5 PDHs will be available to attendees after the webinar. Light refreshments will be served and networking with fellow transportation professionals is encouraged. Sections 2C.06 through 2C.14 (Horizontal Alignment Warning Signs) revised the requirements regarding the use of various horizontal alignment signs. The webinar will give a brief overview of what is expected and add clarification. It will also cover some of the commonly asked questions, such as why the requirements were established, whether all One-Way signs and horizontal alignment warning signage will need to be upgraded even if the signs are 'perfectly good', and what the legal issues are if the dates are not met. The webinar will feature presenters from various state and/or local DOTs to showcase the various methods which they have used to meet these compliance dates. Lastly, it will provide the opportunity to ask the panel any questions about specific scenarios which you may be facing. Please contact IL ITE Technical Director, Kelly Dunne, at illinoisite+technical@gmail.com with any questions. Join Illinois ITE and Midwest High Speed Rail Association’s young Profession’s Board for a conversation with Richard Harnish and Ben Ravenscroft about the state of rail transportation and infrastructure in Illinois. The discussion will include information on the plans to bring high speed rail service to the region. Richard Harnish is the Executive Director of the Midwest High Speed Rail Association (MHSRA), one of the nation's oldest and largest high-speed rail advocacy organizations. Harnish co-founded MHSRA in 1993 and became its first executive director in 2001. Harnish sits on the the Civic Advisory Committee for the Chicago Union Station Master Plan Study. He is a member of the Advisory Committee to the Illinois Department of Transportation's feasibility study on a 220-mph high-speed corridor from Chicago to Champaign/Urbana. He is also board member of the National Association of Railroad Passengers. His quotes and opinion pieces frequently appear in national, Midwest and Illinois media, and he regularly speaks around the country on high-speed rail and railroad infrastructure issues. Ben Ravenscroft is a member of MHSRA's Young Professional's Board, which has been established to cultivate a movement advocating for High Speed Rail among Young Professionals in the Midwest. Ben has a particular interested in developing this movement in Illinois, which will likely also be a strong beneficiary of any Midwest high speed rail network. Outside of MHSRA, he is the Global Product Manager for Walterscheid Powertrain Group, and holds Bachelors and Masters degrees in Engineering from the University of Cambridge, England. The Illinois Section of ITE is pleased to offer this exciting ATSPM technical event! The ATSPM workshop will be offered as a live webinar to those who were unable to register before the event reached capacity. The free webinar will broadcast the FHWA, Iowa State, Georgia DOT, and Lake County DOT presentations, as well as the afternoon panel discussion. The TMC tour will not be shown. Registration is not required and PDHs will not be available to webinar viewers. During the day-long workshop, hosted at Lake County's Central Permit Facility, attendees will learn about the FHWA's objectives regarding ATSPMs, understand the research that went into these initiatives, hear about how other agencies are using these signal performance measures, and take a tour of Lake County's Transportation Management Center. Registration includes 5 PDHs, light breakfast refreshments, lunch, and a tour of the TMC. This workshop will initially be open to ITE and ITS Midwest members only. For access to this event, become a member of ITE or ITS Midwest today! Register by Friday, February 8 at 5:00 pm. Contact ITE Technical Director, Kelly Dunne, at illinoisite+technical@gmail.com with any questions. Christopher Day (Iowa State University) is an assistant professor of civil engineering at Iowa State University. He previously worked at Purdue University for nearly seven years as a senior research scientist in the Joint Transportation Research Program. His research background is in transportation operations, with a focus on performance measures for signalized arterials and freeway operations. Automated traffic signal performance measures, a major product of this prior research, has been widely implemented across the US and internationally, and is becoming a standard tool in modern traffic control. Day's current research focuses on further applications of new data sets in operations and analysis, with a particular interest in connected and automated vehicles. Justin Effinger, P.E. (Lake County DOT) has been a principal engineer with the Lake County Division of Transportation for over 1 year and manages the LCDOT's Automated Traffic Signal Performance Measures website. He has over 7 years of experience in traffic signal design and operations. Prior to joining LCDOT, he was the lead traffic signal engineer for the Wisconsin DOT Southeast Region (Milwaukee metropolitan area), providing innovative traffic signal solutions. Justin received a BS in Civil Engineering and a MS in Engineering from the University of Wisconsin - Milwaukee. Ryan Legare (Lake County DOT) has been with the Lake County Division of Transportation for over 10 years, with the most recent 4 years as the TMC manager. His experience includes maintaining all the core ITS equipment, creating various programs for processing traffic counts and archiving Waze travel times, and redesigning the PASSAGE smartphone apps. Ryan received a BA in History from Northeastern Illinois University. Come join us at the 2019 Illinois Section of the Institute of Transportation Engineers' Annual banquet. This year's event will be hosted at the historic Union League Club of Chicago. Included in the evening's festivities are dinner, a 3 hour open bar, raffle prizes, silent and live auctions (proceeds will go toward student scholarships), and annual awards presentation along with the installation ceremony of our new 2019 ILITE board! The Union League Club is accessible by public transportation, located just two blocks from the LaSalle Street Metra Station, six blocks from Union Metra Station and only blocks away from numerous El stations. Please join us for our annual Holiday Party on Thursday, December 13, 2018 at 5:30 pm at Roanoke in the Loop! This year's party will be jointly hosted by ITE, WTS, ISPE, and APWA. 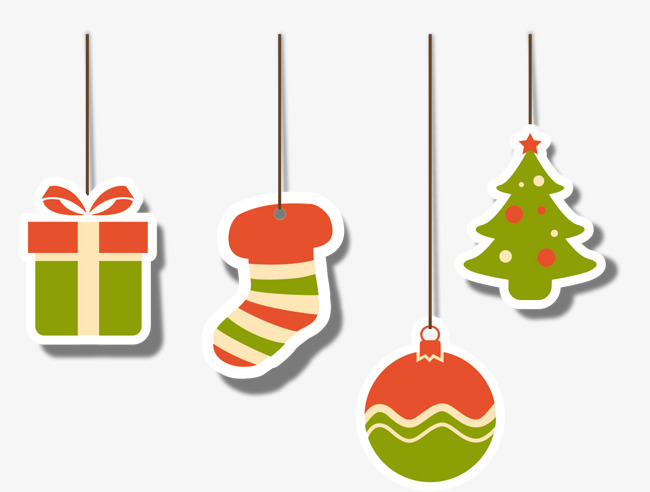 Let's kick off the holidays together and catch up with friends and colleagues. Registration includes two drink tickets and appetizers. Please join us on Tuesday, November 13th for our November Luncheon, a presentation by the Illinois Economic Policy Institute on Assessing Illinois' Transportation Needs. Please come join us to learn more about this important topic, and to network with our friends with ISPE, Rockford. ITE and ISPE are honored to host Ms. Mary Craighead from the Illinois Economic Policy Institute as the event speaker. Mary Craighead, AICP is the Transportation Policy Analyst at the Illinois Economic Policy Institute. She previously served as the Coordinator for the Victoria, TX Metropolitan Planning Organization and Senior Transportation Planner for the City of Victoria, TX. She holds a Master of Urban Planning from Texas A&M University and a Bachelor of Science in Economics and Mathematics from the University of Evansville. ITE is pleased to offer a two-day Highway Capacity Analysis workshop led by Bill Sampson, director of McTrans. The workshop will be Wednesday & Thursday, November 7-8, 2018 from 9:00 AM to 4:00 PM each day. This Highway Capacity Analysis course includes lectures, software demonstrations, and application examples on the Highway Capacity Manual 6th Edition (HCM6) procedures as implemented in the newly-released Highway Capacity Software (HCS7). Step-by-step instruction of the HCM6 methodologies will be provided for each analytical chapter. Each lecture will be followed by example problems and a software demonstration using HCS7. A comprehensive workbook is provided to include all slides. The course agenda will provide an overview then focus on freeways and highways on the first day, followed by unsignalized and signalized intersections to include arterials, interchanges and alternative intersections on the second day. Ample time will be provided for questions and discussion on the methods and their implementation in software. The workshop will be held at the Cook County Department of Transportation and Highways. 12 PDHs will be offered after completion of the workshop. Space is limited. You are encouraged to register early in order to secure a spot. Registration will be capped at two attendees per company. To receive the registration link, send an email to illinoisite+technical@gmail.com with registrant name and company name. Please join us along with the APWA Southwest Branch on Wednesday, October 24th for our October Luncheon, a presentation by the Illinois Department of Transportation (IDOT) on ADA Construction Compliance for Local Agencies. The presentation will cover IDOT ADA/PROWAG construction guidance and touch on IDOT's transition plan, IDOT construction forms, alternate temporary pedestrian access routes during construction, construction requirements and lessons learned. ITE and APWA is honored to host Mr. Carlos Feliciano and Ms. Amruta Mate from IDOT Region One Bureau of Programming as the event speakers. Carlos is the IDOT District One In-House Project and Environmental Studies Unit Head in the Bureau of Programming. He is also the District's ADA and Bikeway Coordinator. Carlos has 16 years of experience with IDOT mainly focused in preliminary engineering and environmental studies covered under the Federal National Environmental Policy Act (NEPA) for pedestrian and bicycle accessibility, bridges and intersection improvements. Carlos is also part of the IDOT Professional Development Training Cadre teaching classes in ADA/PROWAG, Roundabout Design and Phase I Engineering. Carlos has been ADA Coordinator since 2015, along with Amruta Mate, Project Manager and ADA Coordinator, in IDOT's District I which is located in northeastern Illinois and includes State Highways in the Chicagoland and surrounding collar county area including Cook, Lake, McHenry, Will, DuPage, and Kane Counties. Amruta is the IDOT District One In-House Project and Environmental Studies Squad Leader in the Bureau of Programming. She is also the District's ADA Coordinator with Carlos Feliciano. Amruta has 8 years of experience with IDOT including 3 years as the ADA Coordinator. Amruta assists with proving ADA/ PROWAG training annually at IDOT. A great opportunity to network, meet new colleagues and to learn the latest information regarding ADA/PROWAG compliance for transportation projects! Come join us while tickets are available. Please join us for the 4th Annual Student Speed Networking addition. This year, we are partnering with YPT-Chicago, WTS Greater Chicago, COMTO, APBP Chicagoland, and Transport Chicago. We invite both professionals and students to participate in this signature event! Cost: Free. Light refreshment and appetizers will be provided. The Illinois Section of ITE is holding a webinar event for the benefit of ITE members and guests. The event will be shown at the DuPage County Division of Transportation and 1.5 PDH's will be available to attendees after the webinar. This webinar will provide extensive collision analyses comparing lagging left-turn arrow and leading left-turn arrow operation. The webinar will also include commentary on the reasons lagging left-turn arrows have a substantially lower collision experience than leading left-turn arrows. The recent implementation of independent lagging left-turn arrow operation with flashing yellow left-turn arrows will also be discussed, including preliminary collision data. Learned the safety benefits of lagging left-turn arrows. Understood reasons for these lagging left-turn arrow safety benefits. Understood the need for statistical analyses of traffic engineering and operations actions. Learned the benefits of Wilcoxon Ranked-Sum Statistical Analyses. Please join us on Friday, September 21st for a presentation, tour and luncheon hosted by the Illinois Tollway and PACE Suburban Bus service on the I-90 Jane Adams Expressway SmartRoad. The Illinois State Highway Toll Authority recently completed a project to rebuild and widen 62 miles of the Jane Adams Memorial Tollway (1-90) as a 21st century, state-of-the-art transportation corridor. The $2.5 billion project has increased capacity, reduced traffic delays and will strengthen economic activity between the Chicago and Rockford metropolitan regions. The new roadway incorporates the latest ITS technologies in support of active traffic management and integrated transit to make the roadway safer and more efficient for Tollway customers. Please come join us to learn more about how these exciting innovations are being used to manage traffic 24/7. We'll start at the Tollway's office (in Downers Grove)with coffee and refreshments, followed by a short tour of the Tollway's Traffic Operations Center (TOC) to see first hand how SmartRoad operations are managed remotely by Tollway Traffic Operations staff. Attendees will then board buses provided by PACE where they'll be provided with a presentation on the Smart Road while touring a section of the I-90 SmartRoad. Participants will then arrive at the new Pace (on-highway) bus station located at the I-90 and Barrington Road interchange where participants will tour the facility and see a live demonstration of the ATM (Advanced Traffic Management) system from the station's pedestrian overpass. The day will be concluded with transport back to the Tollway's office and a luncheon. Amarpal Matharu, P.E., MBA works with the Illinois Tollway as their Traffic Operations Manager. He oversees planning, design and implementation of ITS devices and Traffic Operations for the Illinois tollway. Prior to his time with the Illinois Tollway, Mr. Matharu worked with CH2M HILL, AMEC and Edwards and Kelcey in New York City. Mr. Matharu holds an M.S. degree in Civil Engineering from the University of North Carolina, an M.B.A. in Management Information Systems from the City University of New York. He is a Professional Engineer in Illinois and Wisconsin. Mr. Matharu has over 22 years of experience in roadway planning and design, ITS, traffic operations and safety. Mr. Matharu also has interest in CV/AV technologies. Mr. Matharu is a past President for the Illinois Section of the Institute of Transportation Engineers, an office he held in 2008. Charlotte Obodzinski, AICP is the Supervisor of Pace's Rapid Transit Program. She started at the agency in 2008 after earning her bachelor's and master's degrees in Urban Planning from the University of Illinois at Urbana-Champaign. Ms. Obodzinski has held various positions including Service Planner and Rapid Transit Program Manager before assuming her current position as supervisor for the planning of rapid transit services on major arterials and highways in 2017, overseeing the associated planning and engineering work. Her current projects include a partnership with the Illinois Tollway to develop an express bus network with support facilities along the I-90 and future corridors as well as the development and implementation. Charlotte currently serves on the Illinois APA steering committee, Arlington Heights Bike and Pedestrian Commission and is a member of WTS and the American Institute of Certified Planners. Scott Lee, P.E. is Chief Engineer of Innovation and Technology at Transmart/EJM, with 25 years of ITS and traffic operations design and deployment experience. He has worked on a wide variety of nationwide ATMS, ATIS, and traffic signal optimization projects. He was Parsons Project Manager and designer for the ISTHA Traffic and Incident Management System (TIMS), including the Smart Road applications. He still supports operational improvements to the system since joining Transmart/EJM in February of 2018. Scott is a University of Illinois graduate in Civil Engineering. You'll not want to miss this exciting opportunity to get a first hand glimpse of how other future expressways in the region will be operated with these exciting innovations to provide a safer and more efficient service to all users. Summer is winding down as we usher in the crisp fall air. Join ITE, WTS, and YPT as we head "back to school" for our fall happy hour! Please join us at Madison Tavern for a night of networking and relaxing with your fellow Transportation Professionals. This event will be a great opportunity to mingle with colleagues from various professional organizations. Registration includes one drink ticket and appetizers. Madison Tavern is located inside Ogilvie Transportation Center. Stop by our happy hour before you catch the train home! For those taking the L, it is just a few blocks from the Clinton Green/Pink line and a few blocks from all major stops in the Loop. We cordially invite you to join us for great fun at the 8th Annual ITE Illinois Section / WTS Greater Chicago Chapter / ITS Midwest Golf Outing. Proceeds from the Golf Outing will go to the Scholarship Funds of all three organizations to support future transportation engineers in obtaining their educational goals. The participant registration fee includes golf and cart fee, a sleeve of balls, a cookout buffet lunch, beverage tickets, prizes, and giveaways! The tournament will be played in scramble (best-ball) format, so you don't have to be ringer to play! We look forward to seeing you on the course! If you are interested in sponsoring this event, all sponsors will be recognized at the event with signage at the registration table and at the post-event awards lunch. Hole sponsors will also be recognized at prize holes along the course. If you have any questions regarding the event or sponsorship, please feel free to contact Thomas Szabo at (847) 823-0500. There is nothing better than Chicago in the summer time, and what better way to enjoy, than socializing with colleagues and new friends. Please join us at Ballast Point in Chicago for a night of networking and relaxing with your fellow Transportation Professionals. For $10, appetizers will be included along with 2 drink tickets to all attendees. For those who choose to take public transportation, Ballast Point is located in the heart of Fulton Market, just a few blocks away from the Pink and Green lines. Can't wait to see everyone there! This month's ITE webinar event is geared toward transportation interns who are interested in learning more about the profession. All are welcome to attend, although interns who are beginning to explore a career in traffic engineering will especially benefit from the topics covered. The event will be shown at Jacobs' Chicago office and 1.5 PDH's will be available. Light refreshments will be served and there will be time after the webinar to meet with fellow transportation interns and experienced professionals. Please consider forwarding this invite to your company's interns and/or coordinating their registration. Traffic engineering is that phase of engineering that deals with the planning, geometric design and traffic operations of transportation systems including roads, streets, highways, sidewalks and bicycle lanes for the achievement of safe, efficient and convenient movement of people and goods. As trained professionals, traffic engineers need to base their recommendations by studying existing and future conditions under a number of scenarios. As part of these efforts, traffic engineers take traffic counts, analyze accident statistics, study speed data, examine roadway conditions, conduct research and study what other professionals are doing and the results they have achieved. Millions and multi-millions of dollars are typically spent based on the findings and recommendations of traffic engineering studies. This webinar provides an introduction to the multitude of studies and measurements performed by traffic engineers and transportation planners as part of their work, and some of the pitfalls to be aware of when performing certain types of traffic engineering studies. Reviewed the state of the practice for Traffic Engineering Studies. Learned about potential new Traffic Engineering Studies. Gained insight into the potential pitfalls to avoid with Traffic Engineering Studies. Illinois ITE would like to share an upcoming luncheon held by the Chicago APWA branch. Key legislative leaders -- from both sides of the political aisle - will join us for a panel discussion covering infrastructure funding, licensure and other issues important to engineers and architects. All are important decision-makers sitting on major committees and representing Chicago and surrounding areas. Engineers, Public Works Directors, Planners and Architects won't want to miss this engaging discussion about what's really going on in Springfield. Kim Robinson, Ex. Dir. of ISPE, will chair the event and get the ball rolling. Each legislator will offer his or her thoughts about issues confronting design professionals in Illinois. We expect a robust Q & A session, so bring your questions! APWA is working with ISPE, SEAOI and AIA, among other professional organizations, to inspire mutual interest across disciplines and licenses and we anticipate over 100 attendees. One PDH will be awarded to attendees. *Any late or onsite registrations will be charged an increased ticket price of $100 per attendee (Checks Only). Due to high demand, ITS Midwest has arranged with ITS America to offer a second session of the U.S. DOT Professional Capacity Building (PCB) Connected Vehicle 201 training course on connected and autonomous vehicles. The full day training course will be offered July 26, 2018, 9:00am to 4:30pm at IDOT District 1, 201 West Center Court, Schaumburg, Illinois 60196. The course is offered at no charge, however registration is required. Space is limited, registrations will be accepted on a first-come, first served basis. To register, email this completed form to Abraham.Emmanuel@cityofchicago.org. If you have questions, please contact Ken Glassman at 312.612.7288. ITS Midwest will provide morning and afternoon break refreshments and a box lunch to course participants. We encourage professionals involved with, or planning connected vehicle initiatives to attend. The course is eligible for Professional Development Hours (PDHs). The purpose of this course is to help transportation agencies that are beginning to plan implementation of a connected vehicle (CV) environment. The overall goal of the course is to teach participants how to develop an action plan in collaboration with regional partners to improve readiness for CV deployment. Participants will learn more about the safety, mobility, and applications and will gain an overview of three CV pilot sites in Wyoming, New York City, and Tampa. They will also learn how to identify funding sources for a CV projects. Lastly, they will be made aware of recent activities supported by the ITS Joint Program Office and resources available from the CV research program sponsored by the U.S. DOT. The Illinois Section of ITE is hosting a webinar event for the benefit of ITE members and guests. The event will be shown at the City of Naperville Municipal Center and 1.5 PDH's will be available to attendees after the webinar. 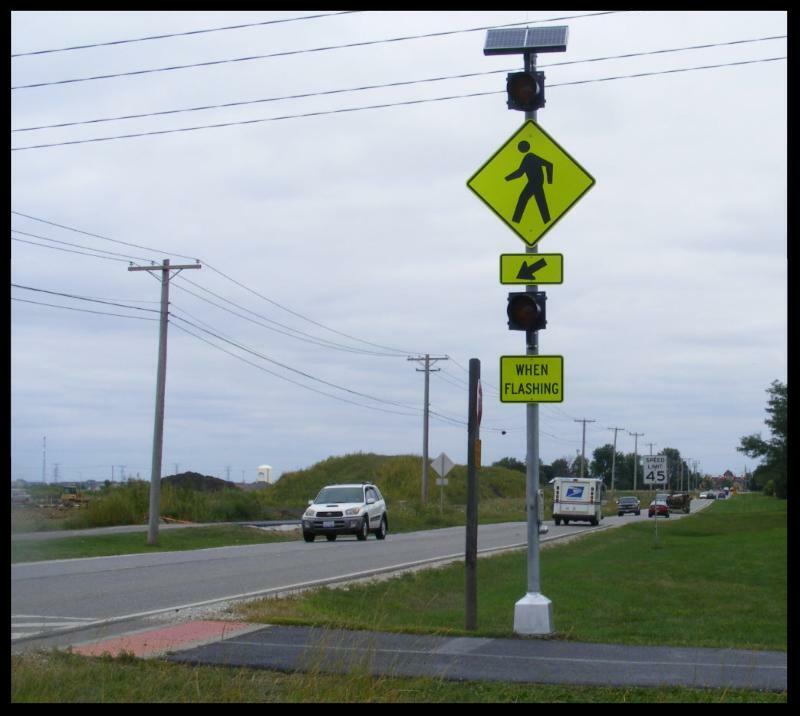 With the recent recension and reintroduction of interim approval for the Rectangular Rapid Flashing Beacon (RRFB), a lot of attention has been drawn to the wide range of enhancements available for uncontrolled pedestrian crossings. Edge-lit warning signs, circular beacons, knock-down signs, flash rates... our toolbox continues to grow, but how are these devices actually used in practice? ITE has created an Uncontrolled Pedestrian Crossings working group focused on this critical safety issue for members, with this webinar being the first effort. This webinar will feature perspectives from two local agencies, Seattle and Des Moines, as well as the Florida Department of Transportation, and how these agencies are addressing their uncontrolled crossings. This webinar is co-sponsored by the ITE Complete Streets Council and the Transportation Council. 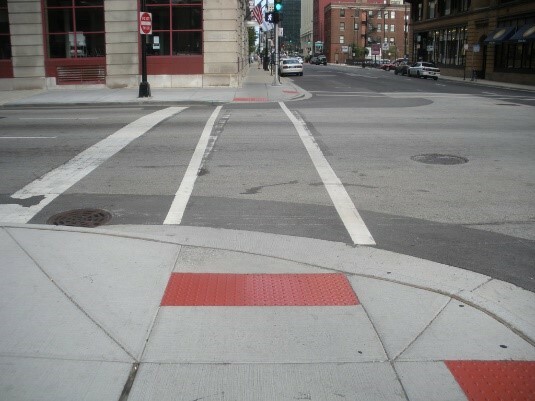 Learned about the wide variety of treatment options for uncontrolled pedestrian crossings. Experienced how a variety of jurisdictions are addressing safety at their uncontrolled crossings. Reviewed the safety research that has been conducted and what additional research is needed on uncontrolled crossing countermeasures. Please contact ILITE Technical Director, Kelly Dunne, at Dunnek@naperville.il.us with any questions. There is nothing better than Chicago in the Spring time, and what better way to celebrate, than enjoying the end of winter, and the competition of P.E. exams for some members. 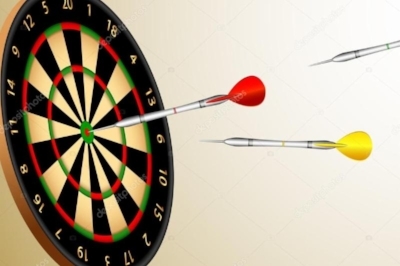 Add some darts and a chance to socialize with colleagues to the mix, and you have our spring social. Please join us at Point & Feather in Chicago for a night of games and networking with your fellow Transportation Professionals and our friends from the ASCE Young Members Group (YMG). There is no cost for the event! Appetizers will be included. Drinks will be available for purchase by attendees. For those that choose to take public transportation, Point & Feather is located in River North, just a few blocks away from the Pink, Brown, and Red lines. REGISTRATION IS FREE and will include light appetizers. Drinks are not included. However, please click on the link above to register so we can have a proper headcount. ILITE would like to share an upcoming event held by the ASCE Illinois Section. The ASCE Springfield Legislative Day will be held on April 25th and will be an opportunity to speak to Illinois legislators on the importance of infrastructure investment and funding. This event will also present the 2018 Illinois Infrastructure Report Card. Please see the attached flyer and registration link below. Deadline to register is April 19, 2018. Please join us on Wednesday, March 28th for our March Luncheon, a presentation by the Chicago Metropolitan Agency for Planning (CMAP) on Vision of Future Chicagoland Expressways. Illinois Section Sponsor Codes are valid for this event. In 2017, the Illinois Department of Transportation, The Illinois Tollway and CMAP collaborated to develop a future vision of the Chicagoland expressway system. The goal was to provide a framework for which future expressway projects could be based to meet the demands of the ever changing transporation landscape of the 21st century. Future strategies and technologies such as Advance Traffic Management, multi-purpose lanes, congestion pricing, alternate modes of transportation, connected vehicles, advanced ITS, capacity improvement alternatives and others were considered. Please come join us to learn more about this exciting subject. ITE is honored to host Mr. Tom Murtha from CMAP as the event speaker. Representatives from both IDOT and the Tollway will be in attendence to answer questions and participate in discussion. Tom Murtha is a Senior Planner with the Chicago Metropolitan Agency for Planning, where he manages numerous projects regarding future transportation mobility in the region. Mr. Murtha recieved his Bachelor's degree in Economics and Masters degree in Urban and Regional Planning from University of Wisconsin, Madison.